Here at Adwerx, we believe that to be the best, you have to learn from the best. While doing your own research can be helpful, getting tips straight-from-the source can offer new perspectives and give you a taste of each real estate maven’s personality. Raj is no stranger to the value of technology and social media. Aside from employing modern marketing in every aspect of his business, he has also spoken professionally on using these strategies in real estate. Raj was recently named one of the Top 100 Most Influential Real Estate Leaders for 2013 by Inman News. This annual list recognizes those who embody leadership, ingenuity, strength, conviction, power, persistence, perseverance and progress. Raj is also a contributor at Inman News covering the topics of creative video for real estate, social media and networking. The Boutique Real Estate Group was just selected in 2013 as a Next Generation Brokerage by Better Homes & Garden Real Estate and 1000 Watt Consulting. These NextGen brokerage projects represent a new breed of real estate brokerages growing across the country. These firms empower agents and clients by providing the most up-to-date and flexible technology. They build meaningful brands, and attract and engage new customers. 1. How did you get your start as a real estate agent? It’s a funny story. When I initially began selling real estate, I just wanted to sell one to two homes a year and keep my real estate career relatively small. After having my license for just three days, I was absolutely hooked. I was in escrow with a client and it was just the beginning. The social media and technology aspects of my business came later, but I’ve been addicted to the real estate industry since day one. 2. You’re very active on Pinterest. What advice can you give to agents about using Pinterest for real estate? Pinterest is great, but I advise people to not be a “real estate agent” on Pinterest. Showcase your community and lifestyle. 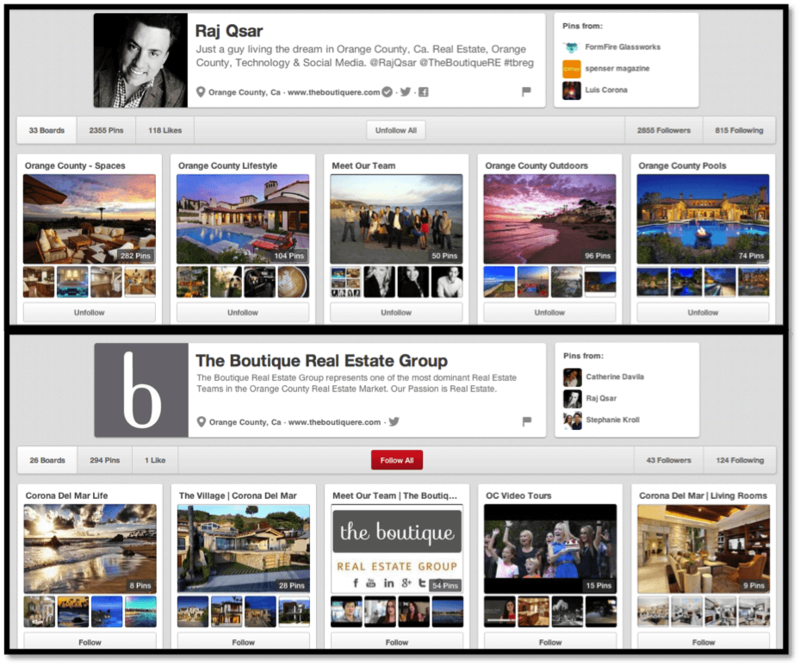 Raj keeps a personal Pinterest page focused on his personal brand aside from the Pinterest page of The Boutique Real Estate Group. Both feature a variety of content with some overlap. Topics they post about include aspects of the Orange County lifestyle, including homes, pools, luxury items, famous residents, beaches, cars and style. The company page also features a board dedicated to their video tours. 3. In a hot real estate market like this, it’s tempting to spend too much time working in the business instead of on building the business. How much time should an agent spend on marketing themselves versus marketing listings? The fact is, busy agents need help. None of us can do this alone, and you shouldn’t try to do it all on your own. At The Boutique Real Estate Group, we believe the team approach is best, because there are just too many hats to wear right now for an agent. You really have to dedicate time to both. Remember to “walk before you can run,” and don’t get too ahead of yourself. Build your team block by block. Building and nurturing a quality team takes time! And always hire the best. If you are an agent, find a team that you respect and admire. Demonstrate your skills, and ask to join. If you are lucky enough to become a part of the team, work hard and contribute. Soak it all up and enjoy the ride! 4. 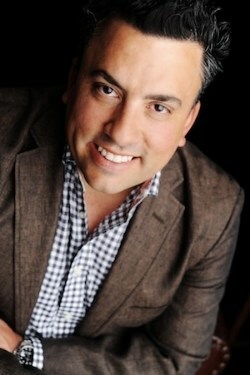 As an agent, you value social media and technology. What are some specific examples of ways they have helped you communicate with clients and increase productivity? Social is just an amplifier. If you are a rockstar agent, social will just amplify all of the great things you are doing. You have to be doing well in your business for social media to add value to your brand. Also, my tagline is, “If you are not in my newsfeed, you do not exist!” It’s not enough to just have a social presence. You have to be engaged with users and clients if you want to get noticed. Twitter really is a cocktail party. 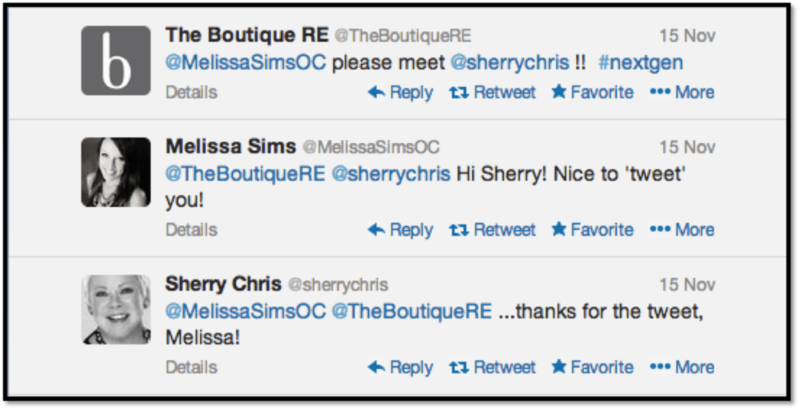 It is a great tool for agents, but remember, you are in and out in 140 characters. Make every post short and simple, and talk to people! If you talk to people they will talk back! 5. What trends are you seeing in real estate right now in terms of technology and social media? We are a 99.9 percent paperless office. All of our agents sign a contract that they will have an iPhone and iPad at the start of employment. We also have a technology standard – we call it the #tbreg tech standard – which all agents must master. This is the new normal. Many agents struggle to adopt the technology we have now, and I’m not sure why they put this on the back burner. For our team, it’s all we talk about. We ask ourselves, “How can we create a REAL estate experience that our clients will enjoy?” We want the entire experience to be as easy and painless as possible. Today, utilizing technology is an integral part of that experience with clients. If you are a great agent, you will get referrals. It’s that easy. Put your clients first in all you do and the technology and referrals will follow. 6. Is there anything else you’d like to share with FreeAgent readers? I have truly made some wonderful friends over the years via social. It has been a wonderful ride and has been a true blessing. Turning online relationships into meaningful real life friendships has been one of the greatest joys for me. There are so many great people in this world and in our industry who are trying to raise the bar in all we do. If you take the time to talk to them, they will talk back. Find Raj Qsar on Facebook, Twitter and LinkedIn, and be on the lookout for the opening of The Boutique Real Estate Group’s second luxury office in Corona Del Mar, California in January 2014. As an agent, do you ask yourself “How can I create a REAL estate experience that my clients will enjoy?” What do you think are the most important parts of this experience? Let us know in the comments below!